Apple has released firmware update 3.1.3 (7E18) for iPhone/iPod Touch. This is a minor update to firmware 3.1.2, released on October 8 2009, and supports all iPod Touch versions (first, second, third generation) and all iPhone versions (2G, 3G, 3GS). 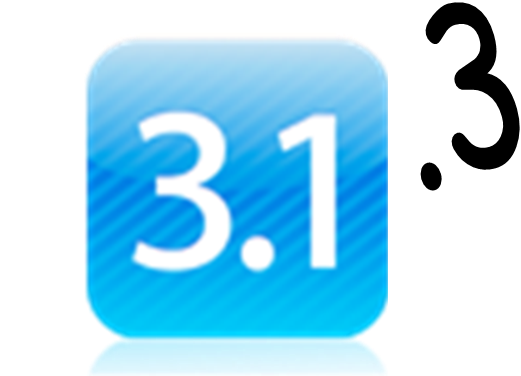 Firmware 3.1.3 addresses various bugs and issues with applications and also improves the accuracy of the reported battery level on the iPhone 3GS (battery icon/percentage indicator). Firmware 3.1.3 has also updated the modem firmware from 05.11.07 to 05.12.01. Remember, if your iPhone/iPod Touch is jailbroken and/or unlocked, you should not immediately update to 3.1.3, as you may lose both your jailbreak and unlock. For those who are not jailbroken, firmware 3.1.3 is available now in iTunes. If you care about your jailbreak and unlock, donâ€™t update your device – 3G and 3G(S) owners should pay particular attention to this warning. There is no estimated release time for compatible tools (please donâ€™t bug us about this). Any information we have regarding this update will be posted here.